A few weeks ago, my daughter came home and told me she saw one of her teachers walking to school and he asked her where she bought her bike. Well, Mom, in her own stupidity, nominated Mr. Mason for the pay it forward program on CBS 5 News. They called a couple weeks ago, happy to pick Mr. Mason. Logistics to get it on film became a story in itself. Of course they wanted to catch Mr. Mason walking to school, but when they found out he started off at 3AM! Still Pat McReynolds tried to get everything in place for early Monday morning, but it didn’t work out. Tuesday I was unavailable and we settled on Wednesday after the school day began. Then CBS 5 went to the wrong AAEC campus. (Oops… so I was waiting a little longer than planned). Tuesday was my cousin’s memorial service. There was a Phoenix police honor guard and many officers came to show their respect. It was great to see all the support for my cousin and his family. There is a go fund me account set up for his children and to help spread awareness for PTSD of police officers. If you would like to pay it forward click here. It started last night at dinner, my youngest was talking about Five Nights at Freddy’s. 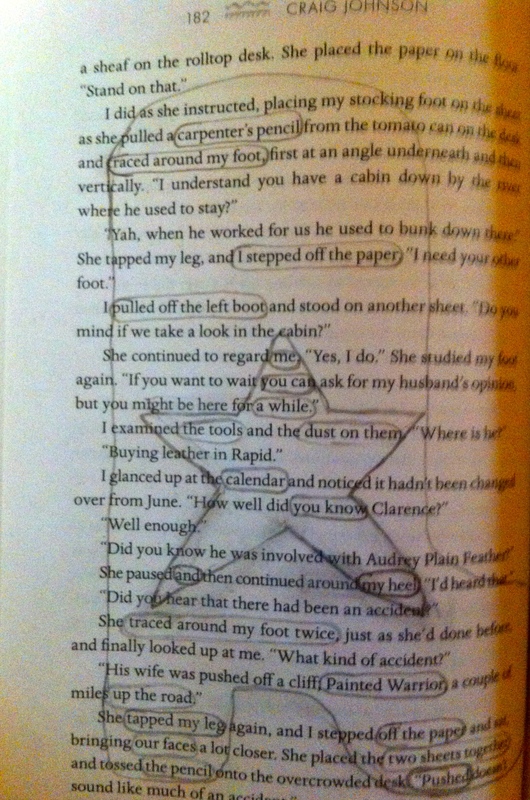 Apparently the prequel takes place way back in 1987 (way back!?) Being the strange family we are I said; Extra credit to the first person who can tell me how old Mom was way back in 1987. Both girls started calculating. Rachael answered first with 15. No wrong answer. Gretchen was still busy adding and subtracting but it didn’t take Rachael long to answer 14. 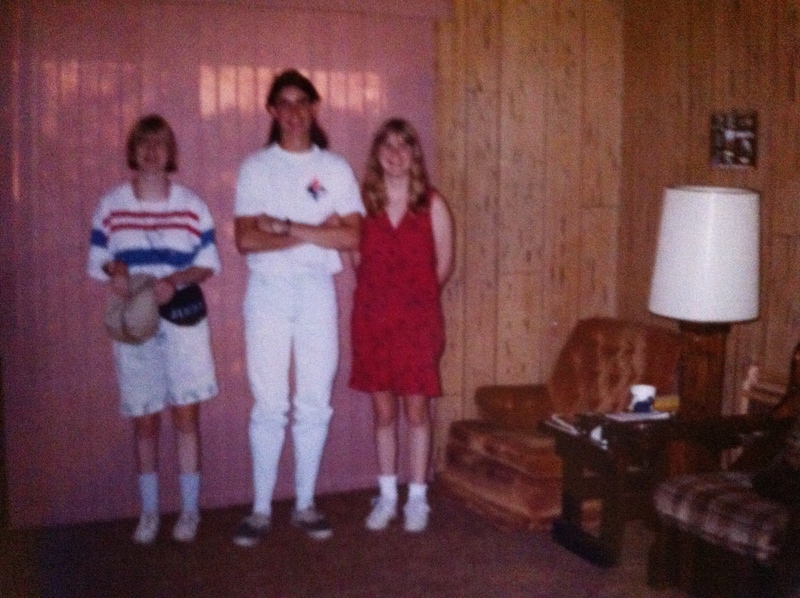 Yes, but since my birthday isn’t until Monday for most of 87 I was… still not difficult, Rachael replied, 13. Gretchen was upset her sister gave away the answer so she gave us a math game she discovered online a few days ago. She had her sister pick a number, double it, add six, divide by two, subtract your original number. The answer… 3. Rachael tried it over and over with different numbers. One time she got tricky and picked i; which did not end up being 3 but it was close, since the answer was i +3. Yes, this poet has math inclined children. Where did I go wrong? A Birthday haiku for my twin the haiku-a-holic. 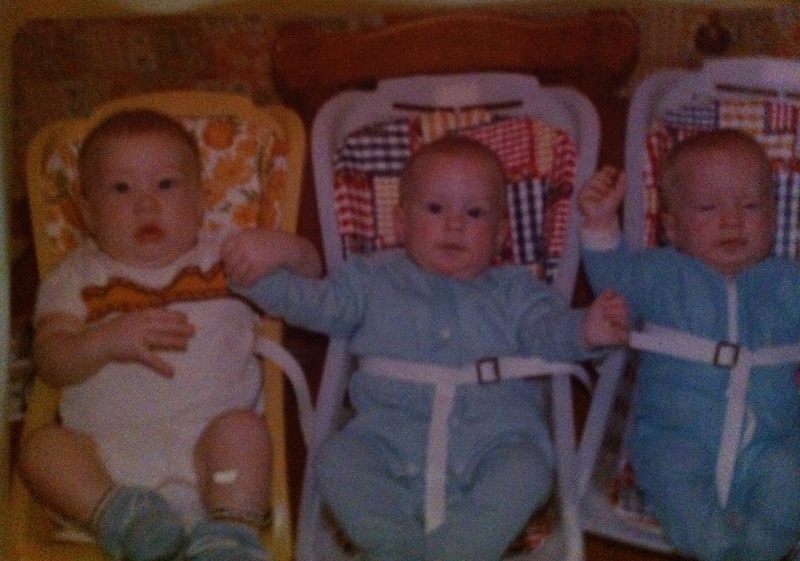 My cousin, Michael, Me and Kati all November ’73 babies. The end of this month marks one year since the loss of my brother-in-law. Then a month later, my cousin, Ken, passed away. We were traveling to El Paso that day to spend time with Nonnie (my mother-in-law) while the girls were on winter break. This August my mom passed away. She had gone through pictures and set them aside for each of us sisters. 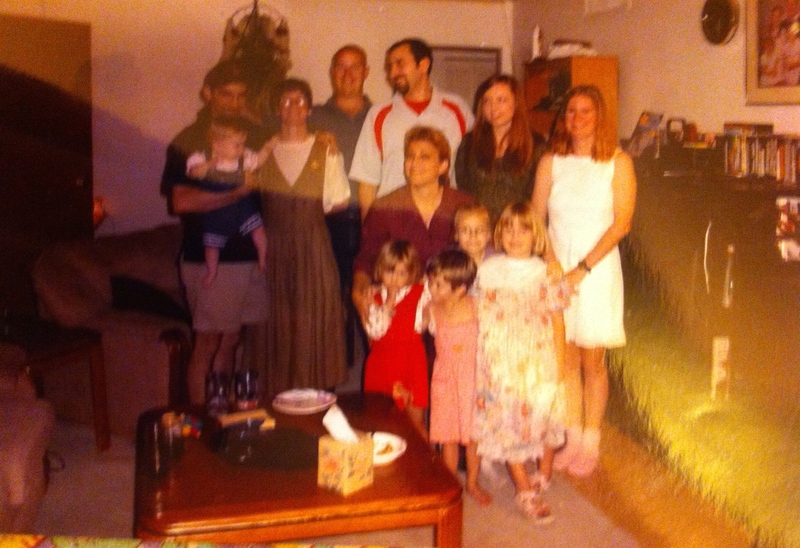 In my batch, I found a Thanksgiving picture of the Hosking/Dougherty clans (my twin’s family). It is now up on the kitchen cabinet for this Thanksgiving. And this past weekend we were hit with another tragedy as we’ve lost another cousin. I posted a picture of him and my twin and me on Facebook for throwback Thursday. It’s been a very rough year. I appreciate everyone’s thoughts and prayers. Every year I walk to the polls, neighborhood elementary school, and vote. I have never done early voting. Well this year officials came together and decided they would have early ballot voting. Everyone was mailed a form. I received mine and Shawn’s in the mail, wondered what was up and discarded them. Then when we walked over to vote this morning, we learned everyone had to fill out provisional ballots. Because those wise politicians decided this year would be all early voting without telling constituents, no one knows who sent in those ballots and who did not to make sure no one votes twice, anyone who actually waited to vote today (us silly folk who want to vote at the polls) have to fill out provisional ballots. Even stranger – it’s all electronic now, no paper book to sign. Why spend money to update voter sign in to electronic devices if we were all suppose to mail in our ballots and not show up at the brick and mortar poll?